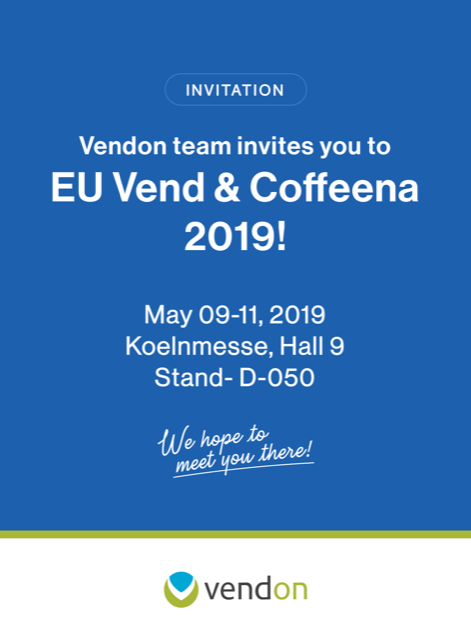 Vendon vBox is a purpose-made hardware unit that collects data from vending and coffee machines and transmits the collected data over cellular network to a secure Vendon Cloud. All vBox user interactions are supported via the function button and confirmed with sound signals, allowing effortless management of the Vendon Telemetry solution. Compatible with MDB, Executive, BDV, CCI protocols, Vendon vBox Advanced collects audit data from machines or payment devices and responds to server request with the collected data, which is further pushed to the server. With this connection, vBox Advanced can detect a high level of data coming from the machines. Compatible with MDB, Executive, BDV and CCI-CSI protocols, Vendon vBox Master takes over control of the peripheral devices and allows to connect Executive, CCI-CSI machines to MDB peripherals. vBox Master provides full transaction information, as well as data from various add-ons, in real-time, and an option for a two-way communication with your machines. Easy installation of Vendon telemetry solution. Daily audit readout for complete machine information. Real-time information about vending machine fleet status. Ability to remotely change prices of products. Function to remotely push credit to consumer if desired product has not been received. Ability to remotely enable and disable certain product lines. Vendon vBox, very intelligently, takes over control of the vending machine. whether online or by other means, you accept the Agreement in its entirety. calculated either for each Equipment unit. The Customer orders and the Company ensures Products and Services to the Customer, for which the Customer makes a payment to the Company in the amount and pursuant to the procedures specified in the Agreement and on the Site. The Monitoring System shall include the data on each Vending Machine with installed and activated Equipment. The Monitoring System shall include the data on the location of the Vending Machine, possible malfunctions, movement of money and products, balance of money and products and other data. The Company shall be entitled to add, change or terminate inclusion of separate types of data in the Monitoring System, without changing the overall nature of the Services. Services of the Monitoring System shall be provided by installing and activating the Equipment in the Vending Machine. Information about every Vending Machine shall be sent by the Equipment to the Monitoring System using the services provided by the mobile service operators and services provided by them, therefore the service quality depends on the network coverage of the mobile operator. In order to order Products and Services, the Customer shall register and fill-out all required information on the Site. The Customer is solely responsible for the activity that occurs on its account, and the Customer must keep its account password secure. The Customer must notify the Company immediately of any breach of security or unauthorized use of its account. Although the Company will not be liable for the Customer’s losses caused by any unauthorized use of its account, the Customer may be liable for the losses to the Customer or others due to such unauthorized use. An account is created for the Customer on the Site, where access to the Monitoring System, information on payments, notifications from the Company and similar information is available. The Company may change, suspend or discontinue the Services, Products, fees, charges, terms at any time, including the availability of any feature, or content. The Company may also impose limits on certain features, Products and Services or restrict access to parts or all of it without notice or liability. The Price List of Products and Services and delivery charge will be quoted on the Site from time to time. All prices quoted on the Site do not include installation charges and staff training costs, unless agreed otherwise. Payments for all Products and Services shall be made via the Site by cashless transfers. The Company shall be entitled to change the prices indicated on the Site unilaterally and without prior notification. The changes shall come into effect from the moment of publication thereof on the Site and apply to all payments, after publication of price changes. If the Customer disagrees with the price changes, the Customer shall be entitled to refuse making further payments, which means refusal to use the Service (the Company shall not reimburse the payment made by the Customer, if the Customer wants to renounce or has renounced the Product, except returning the Equipment within the warranty period). By approving this Agreement, the Customer also applies for the automatic payment. This automatic payment is a subscription service that is ensured by the Company and for which the Subscription Fee and other monthly payments aremade. In the case of automatic payment, payment will be automatically withheld from the payment card registered in the Customer’s account (on the Site). The Customer shall be entitled to cancel the automatic payment by making renouncement in its account on the Site. Withholding of the Subscription Fee and other payments shall be terminated, if the Customer cancels this option sending request to Company’s customer support, or when it is impossible to withhold funds from the payment card (for example, the card is blocked or period of validity has expired etc.) and the Customer has not added a new (valid) payment card to the account on the Site. The Customer shall inform the Company, if the payment card is lost, blocked or its term of validity has expired. As long as the Customer doesn't provide a new (active) payment card details, the Services shall not be provided. Payments shall be considered as settled at the moment when the Company has received the respective sum in its account. The Company may save payment card's information and use it for all future shipments and charges, which will automatically be charged to the saved card, unless the Customer notifies the Company through the Site. By placing an order through the Site, the Customer is confirming that it is legally entitled to use the means of payment tendered and, in the case of card payments, that person using the card is either the cardholder or have the cardholder's express permission to utilise the card to effect payment. The Company may refuse to process a transaction for any reason or refuse Products and Services to anyone at any time at Company’s sole discretion. The Company will not be liable to the Customer or any third party by reason of refusing or suspending any transaction after processing has begun. Unless otherwise stated, all fees and payments are quoted in Euros (EUR) without VAT and without shipping charges. The Customer is responsible for paying all fees, payments and applicable taxes associated with our Site and ordered Services/Products. After receiving Customer’s order Customer will receive an e-mail from us confirming the details, description and price for the Products ordered. Payment of the total price plus shipping must be made in full before dispatch of Products. The Subscription Fee is prepayment per previous month. If the Company has not received due payments, the Company shall have the right to terminate the use of Monitoring System and other Services. The Customer shall order Products and Services on the Site, by previously entering the necessary information and making a payment for the Products and Services. After entering the necessary information, approving this Agreement and payment information and making a payment, an account will be created for the Customer on the Site. The Product order shall be considered as completed and it becomes binding to the Company and the Customer at the moment when the Customer has made a full payment for the Products ordered and its delivery. After receiving a payment for Products, the Company shall send a notification on approval of the order to the e-mail address indicated by the Customer. If the Customer has not received a notification, it shall contact the Company. The order will be fulfilled within a reasonable time, unless there are exceptional circumstances. Any time or date for delivery named by the Company is an estimate only and the Company shall not be liable for the consequences of any delay. The Company shall not be responsible for delay of delivery, if such has occurred due to incomplete or inaccurate information provided by the Customer, or when the Customer can't be found at the indicated address. The Products may be subject to import duties and taxes which are levied when the delivery reaches the destination. The Customer is responsible for payment of any such import duties and taxes. The Company has no control over these charges and cannot predict their amount. The Customer shall contact local customs office for further information before placing the order. The Customer shall comply with all applicable laws and regulations of the country for which the Products are destined. The Company is not liable for any breach by the Customer of any such laws. The Products will be at Customers’ risk from the time of dispatch or upon collection from the Company by the Customer or Customer’s agents or employees. Ownership of the Products will only pass to the Customer when the Company receives full payment of all sums due in respect of the Products and Services, including delivery charges. If the Customer notes significant and obvious damage to the Products on delivery, the Customer shall reject the Products or issue handwritten, precise and dated reservations. Any Products that are damaged or appear to have been damaged should be pointed out to the courier at the time of delivery and reported to the Company within 1 (one) working day. Following delivery, any Products that are defective or do not operate as described should be reported to the Company within 3 (three) working days. If the Customer fails to observe above mentioned notification term, it is Company’s sole discretion how defective Products should be responded to. Subject to compliance with reporting requirements mentioned above and after examination of ordered (damaged) Products, it will be Company’s discretion whether to offer replaced or repaired Products, or to refund in full. The Company is not responsible for incorrect Product choices or unsuitability of Product for Customer. Failure of Products to meet such expectations is not a basis for a refund or to return the Products, except at the Company’s sole discretion. In case of return of Products, the Customer shall take care of Products and packaging. Unless packaging is seriously damaged, the Customer shall return the original packaging.6.7. If the Customer or any third party have used the Product inappropriately or negligently tempered with, or damaged, or misused by the Customer or damaged during delivery back to the Company, the Company reserves the right to waive its commitment under this Section to offer a refund, replacement or repair. The Company will provide to the Customer the sale of Products and Monitoring System services in accordance with the Agreement. The Company shall observe confidentiality and provide the data security with respect to all information received from the Customer during the term of the Agreement. The Company shall not be held responsible for the non-operation of the Products and/or Services if it is caused by the damage of the Equipment or Vending Machine, disruptions in electricity supply and/or actions of the mobile service operator. The Company is entitled to process the data of the Customer. The Customer agrees and understands that it may be necessary for Company to collect, process and use Customer’s data to perform the support and repair obligations identified herein. This may include the necessity to transfer data to third parties that are contracted with the Company to assist in meeting these obligations. In doing so, the Company will (i) protect and keep confidential such information, (ii) not use such information for reasons other those discussed above, and (iii) not sell, distribute or pass on such information to any third party. The Company shall not be held responsible for the losses resulting of misuse of the Products and/or Services. Products and Services are offered for information purposes only, therefore the Company shall not be responsible for any possible losses that are arising or may arise as a result of providing Products and Services. Products and Services are related to technical solutions, as well as services provided by mobile operators, therefore, there are possible separate instances, when accessibility of services may be interrupted. The Company shall have the right for revision, changing, updating, upgrading of Products and Services, including the Site. The Company shall have the right for not more than 24 h/month (twenty-four hours per month) for disconnection of the Monitoring System in order to perform the update or upgrade of Monitoring System. If such period is exceeded, the Customer shall have the right to demand proportional reduction of the Subscription Fee. In urgent (critical) cases the Company may disconnect the Monitoring System without notifying the Customer and without liability up to 6 (six) hours. The Company shall be entitled to change this Agreement and information indicated on the Site unilaterally. Such changes shall come into force from the day of publication thereof. The Customer shall be able to access the Monitoring System through the customer login section in the Site (or mobile application, if available) by entering the user name as well as the password. Unless agreed otherwise, the Customer shall be prohibited from disclosing the login data of the Monitoring System to any third party. The Customer confirms that it is authorised to install the Equipment in Vending Machines in case the Customer is not the owner of these Vending Machine. The Customer shall be authorised to use the Monitoring System only for the control of operations of the Vending Machines. The Customer may enter data in the Monitoring System regarding each Vending Machine (location, range of goods, prices and other requested information). The Customer is informed and accepts that all activities performed within the Monitoring System using the user name and password granted to the Customer shall be binding upon the Customer and shall be considered as performed by the Customer. The Customer is responsible for the provision and installation of all electrical, plumbing and cabling requirements, unless otherwise agreed otherwise. The Customer understands and accepts that the use of Services, including Monitoring System, is full Customer’s responsibility, therefore any changes in settings, prices, etc. related Vending Machine, its functionality and any other systems or products related to the Vending Machine, is sole liability of the Customer. The Company warrants the Products against defects in materials and workmanship under normal use (the “Warranty”) for a period of twelve months (12) from the shipment date (delivery to the carrier) of the Equipment (the “Warranty Period”), on the condition that the Products have been completely paid for. Unless as otherwise mandated by law, the Warranty Period does not restart if the Customer receives a replacement device. Thereafter, the Company will repair any defects in workmanship or materials at its then current labour, travel, and materials costs. The Company does not warrant that the operation of the Products will be uninterrupted or error-free. The Company is not responsible for damage arising from failure to follow instructions relating to the use of Products. This is Company’s complete Warranty for the Products, and states Customer’s exclusive remedies. The Warranty is given in lieu of all other express Warranties. Implied warranties, including without limitation, the implied Warranties of merchantability and fitness for a particular purpose, are given only if specifically required by applicable law. Otherwise, they are specifically excluded. The Company reserves the right to modify this Warranty at any time, at its sole discretion, and with notice to the Customer. No Warranty is made that any of the Products provided by the Company work in combination with any hardware or applications software products provided by third parties not identified in any statement of work for which the Product is intended to work, that the operation of the Products will be uninterrupted or error free, or that all defects in the Products will be corrected. This Warranty is voided immediately if repair, modification (to include upgrades, expansions or usage or addition of non-manufacturer parts or accessories), alteration or other service is attempted other than by a representative of the Company or authorized by the Company. If the Company does not find any Warranty limitations stipulated in the Agreement and finds that the Product is not functioning due to the fault of the Company, then the Company shall at its discretion either repair or replace the Product, or make a refund. If, during the Warranty Period, the Product is not working properly, the Customer must contact the Company’s customer support to confirm the problem and obtain return instructions if needed. If the Product is returned for repair or replacement at any time following purchase by the Customer and the Company discovers that the Warranty is inapplicable due to the reasons provided above, the Product will not be repaired and will be returned to the Customer at Customer’ expense, unless the Customer authorizes and pays for repair. The Customer shall assume full liability for such conduct that is in any way violating or may violate the rights of any third person. Any rights of intellectual property concerning the Site and the content published therein are owned only by the Company. In the case of violation of these rights the guilty person may be held responsible according to the law, and shall be fully responsible for all losses that are or may be caused to the Company or third persons. The Company is not liable or responsible for any failure to perform, or delay in performance of, any of its obligations that is caused by events outside the reasonable control (Force Majeure). Company’s maximum liability under this Agreement is equal to the amount the Customer has paid to the Company as Subscription Fee within last 3 (three) months before the claim. If the Customers fails to fulfil its payment obligations, the Company shall have the right to charge contractual penalty for late payment in the amount of 0,2% of the delayed amount for each day of such delay, but no less than 20 EUR per case. Any personal data, personal identification codes and the Vehicle information of the Customer transferred to the Company or entered on the Site are protected according to laws and regulations of the Republic of Latvia. By approving the Agreement, the Customer expresses consent for the Company to process personal data and personal identification codes, as well as the other necessary information of the Customer according to laws and regulations of the Republic of Latvia. Headings of sections of the Agreement are provided for readability only and shall not be used for interpretation of provisions of the Agreement. The purpose for processing the Customer's personal data and personal identification codes – offering and use of the Products and Services. The Company shall be entitled to inform the Customer via e-mail on any topicalities related to the Product. The Customer shall be entitled to add, correct or delete the data indicated in its account on the Site. If the Product, Site, Company or assets of the Company are transferred to any third person (for example, in the case of selling the Company or its business), the personal data and information related to the Customer may be transferred to this third person, without requesting a separate consent from the Customer. By approving this Agreement, the Customer confirms that it is informed about and agrees to transfer its personal data to the personal data operator that ensures execution of services on behalf of the Company. This Agreement and all non-contractual obligations arising from or in relation to this Agreement, shall be governed and interpreted in accordance with laws and regulations of the Republic of Latvia. The Customer irrevocably agrees that courts of the Republic of Latvia have exclusive jurisdiction to resolve any disputes, disagreements or claims arising from or in relation to this Agreement or its existence, violation, termination or invalidity. Court jurisdiction is determined based on the registered address of the Company at the moment of filing the claim. If due to any reasons any provision of this Agreement or this Agreement in full or partially is recognised as invalid, then the Company shall amend provisions of this Agreement to make the Agreement enforceable. If any of the provisions of the Agreement is recognised as being invalid, then other provisions of the Agreement remain in force. The Customer has no right to transfer fulfilment of obligations under this Agreement to third persons without a written consent of the Company. Any transfer of liabilities in violation of the above is illegal and no party is bound by it. The Customer shall indemnify and hold the Company (and its officers, directors, agents, subsidiaries, joint ventures and employees) harmless from any claim or demand, including reasonable attorneys’ fees, made by any third party due to or arising out of Customer’s breach of this Agreement, or violation of any law or the rights of a third party. No agency, partnership, joint venture, employee-employer, franchiser-franchisee relationship, etc. is intended or created by this Agreement. Company’s failure to act with respect to a breach by the Customer or others does not waive Company’s right to act with respect to subsequent or similar breaches. No waiver by the Company shall be effective unless it is expressly stated to be a waiver. Compatible with MDB, Executive, CCI/CSI & BDV protocols. vBox Master is a telemetry device for data collection from vending and coffee machines allowing two way communication.